Holidays with your loved ones are a wonderful thing. They’re great for relaxing and taking advantage of some wonderful bonding moments. Unfortunately, it’s difficult to enjoy all the benefits of a family holiday when you’re constantly worrying about how you’re going to pay for everything. As the weather continues to suffer in the UK, there’s a good chance that you’re already dreaming about your next getaway to the beach. The question is, how are you going to find the cash for everything from flights, to hotel rooms? Here are five great ideas to get you started. While getting personal loans out every time you want to do something special or buy something big isn’t necessarily a good idea, there’s nothing wrong with turning to a loan if you know that you have a strategy to pay it back. 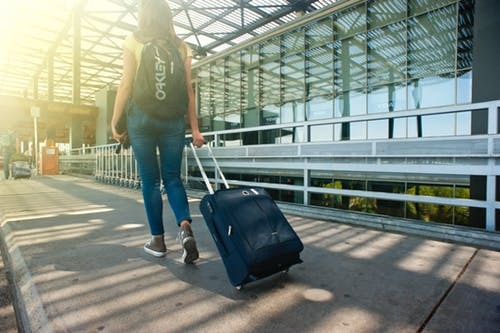 By searching for the best interest rates online, you can grab a personal loan that will give you more time to pay off the expenses of a family holiday. Plus, you won’t have to wait around forever to get on the trip that you so desperately need. Check out your current budget and ask yourself how much money you’d have to put towards a holiday each month, then determine whether you’d be better off using that money to pay back your loan instead. One of the easiest ways to make saving simple is to automate it. To do this, you’ll need a separate bank account that you can use specifically for the money that you want to put towards your family holiday. Once you’ve opened your second bank account, decide how much money you have to put into your savings each month, and set your current account to send an automatic transfer to that new account every time you get paid. This is a great way to make sure that you’re saving without even thinking about it. You can even put the card you get for your new bank in a safe or drawer somewhere so that you’re not tempted to use it. You might think that when you start to cut costs in your monthly expenses, the last thing you would look at is something as essential as food. However, the truth is that food is something most of us waste a lot of cash on every month. If you buy branded products, or you find yourself frequently throwing items away that you never have chance to use, then you can start cutting back your food budget right there. Another option to consider is buying the things that you use most in bulk. You’d be surprised how much pasta you can get for less than five pounds if you can find enough space for a big bag in your store cupboard. You can even start growing some of your own fruits and vegetables yourself if you’re willing to do a little garden work. Sometimes, if you’re struggling to find the cash for something like a family holiday, the best thing you can do is look for additional sources of income. The good news is that there are plenty of ways to make a little extra money on the side these days – particularly if you have an internet connection. You can find freelancing and part-time jobs on the web in no time. Alternatively, you could think about using your car to pick up some extra cash by working for a company like Uber in your spare time. Another option is to look at some more traditional ways to earn extra money outside of your day job. There are still people out there who need babysitters, dog walkers, and even people who are willing to clean their house or office for them. All of these opportunities can be an excellent way to get some serious spending money for your holiday. Finally, if you’re using a credit card to pay for some of your standard expenses, then why not find a way to make the most out of it? There are various credit cards out there that can earn you airline miles for regular costs like petrol, food, and more. You can also gain tons of miles for frequent flier systems by signing up for systems online too. Alternatively, if earning airline miles isn’t an option, why not look for a credit card that comes with a cashback feature instead?